Wild Ginger Bellevue is in Lincoln Square South located at 508 Bellevue Way NE, just south of the Bellevue Arts Museum. We offer 3 hour validated self parking in The Lincoln Square South Garage. Enter the garage from NE 4th St, between 105th Ave. NE and Bellevue Way NE. 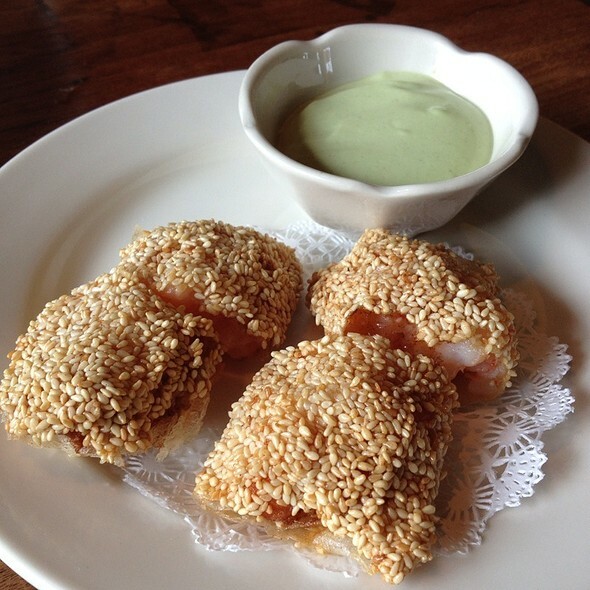 Wild Ginger has been a staple in the Seattle area since 1989. Our food originates in regions throughout Southeast Asia from China to Indonesia and beyond. We pride ourselves on offering traditional dishes from these distinctive regions and insist on house-made ingredients. Chefs make spicy chili sambals, fresh coconut milk, delicate egg noodles, our pungent oyster sauce, and more all from scratch. To achieve the sublime flavors of the East, there is no substitute for the time-honored customs of these rich and ancient cultures. House-made Maine lobster and wild Patagonian pink prawn dumplings served in a wonton style broth with scallions, fried shallots and coriander leaves. Shredded green papaya and carrot, aromatic Southeast asian herbs, peanuts and thai chilies in a lemon-fish sauce dressing. Crispy tofu with mango, jicama, bean sprouts, pineapple, peanut sauce, fried peanut and shallot garnish. Thinly sliced green and red cabbage, carrot, bean sprouts, cilantro, tri-mint, peanuts, fried shallots topped with steamed chicken and served with a slightly spicy Vietnamese dressing. Served with pickles | chicken 4. pork 6. kobe beef 9. Our house-made chicken potstickers are a perennial favorite. Served with a black vinegar dipping sauce. Crispy spring rolls filled with vegetables. Lettuce, basil, cilantro, bean sprouts and a sweet-hot dipping sauce provided for wrapping. 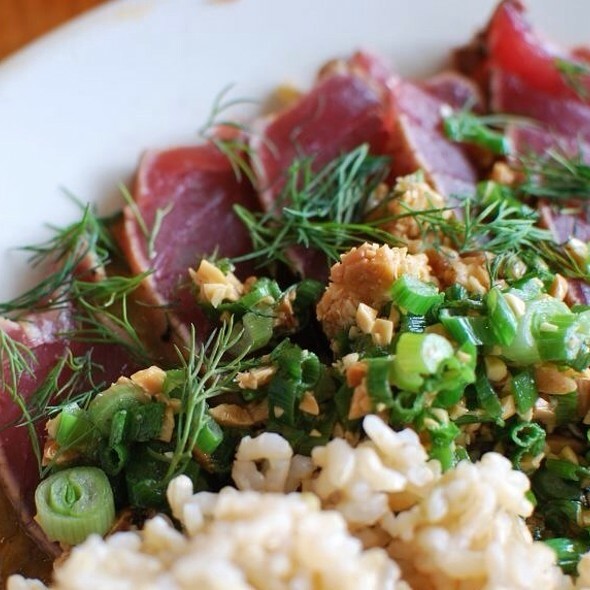 Sashimi grade tuna, lime juice, fish sauce, roasted rice, fresh herbs, chili, and cucumbers. Served with sesame crackers. Wok fried chicken wings tossed in sweet and tangy Vietnamese sauce. Grilled sea bass with roasted peanuts, Thai basil, lime juice, chili, and tamarind. Butter lettuce leaves for wrapping. Wok‎ fried chicken with aromatic herbs, spicy black beans, red and green bell peppers and onions. Draper Valley chicken cooked in a creamy heirloom tomato sauce with exotic Indian spices. Served with flatbread. 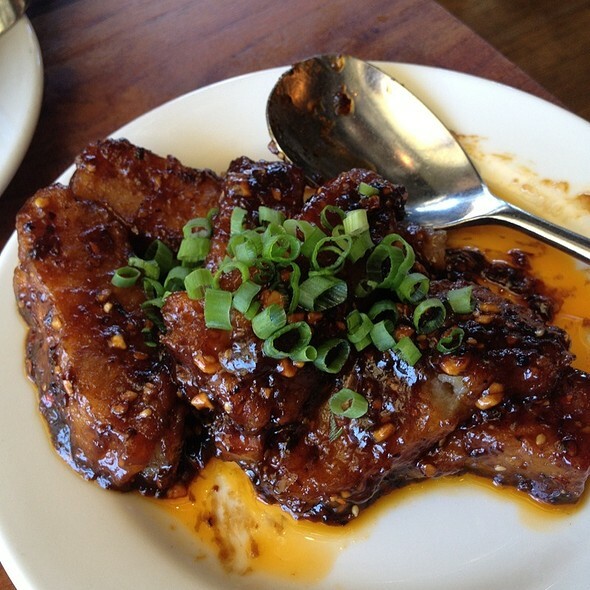 Moo ping, the Thai classic dish combines Kurbota pork grilled and served with house made plum sweet hot sauce. 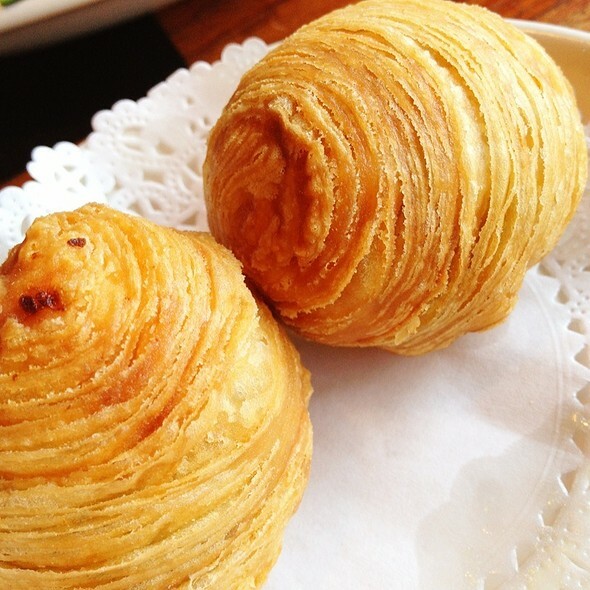 Our house specialty. Succulent fresh duck spiced with cinnamon and star anise. Served with steamed buns, Sichuan peppercorn salt and sweet plum sauce. Extra buns .50 each. 19. / 31. Pink prawns wok-fried in a black pepper and chili sauce with shallots, garlic, ginger and soy sauce. 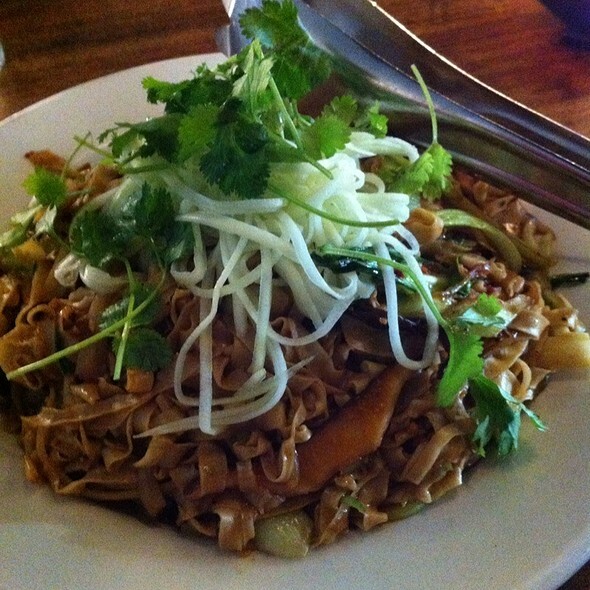 Pan-fried and topped with aromatic Southeast Asian herbs and crushed peanuts. Javanese vegetarian curry with tofu puffs, chayote, eggplant, peppers, green beans, cabbage and okra. Fresh wide rice noodles are wok-fried with prawns, chicken, fish cake, chives, egg, bean sprouts and chilies in a sweet and spicy soy sauce. A classic Chinese fried rice with sweet pork sausage and topped with fried egg. Add chicken for 2. or prawns for 3. Join us for the best happy hour in Bellevue EVERY DAY from 3-6pm and 9pm-close. Delicious small plates, handcrafted cocktails, and beer and wine starting at $4. Hope to see you in! Celebrate the women you love and appreciate with a special lunch or dinner at Wild Ginger Bellevue this Mother's Day. Our attention to detail, accommodating service, delicious family-style Southeast Asian menu offerings, and more will leave them feeling extremely loved. Good service, good management call to not charge us for the dried out Pad Thai dish... The ribs were just decent, nothing to tell friends about or have again. 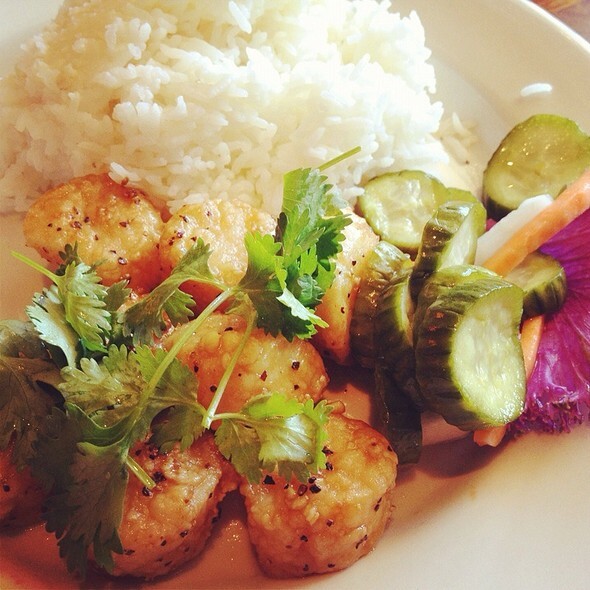 Overall we left disappointed because many people talked so highly of Wild Ginger. Again, the wait staff were great! We may give it another shot sometime, but with so many top quality restaurants in Bellevue it may be a while before we make it back. to ask us for our order within a few mins of sitting down. We had reservations but we weren’t seated until 15 mins later...this was fine since we agreed to wait. The food was delicious, but the papaya salad lacked a little bit of salt and we were not able to request the heat level of the food...which I though was odd. The food was great otherwise. I would return because of food flavors! Food and service was good as usual, but the noise level is way to loud. They really need to get some better acoustics at the Bellevue restaurant. Our server was knowledgeable about the sake, which led to us buying a bottle. The sorbet was divine and must be had. Perfect spot for a business lunch. Food was excellent, service was fast and not to loud so we could discuss business. The food and drinks were very tasty. The portion could have been larger. Great food and friendly bar staff where I sat. Courteous and friendly serving staff. Excellent duck, scallops, and loved the cocktails! We arrived an hour passed our reservation time because we went to the old location in Bellevue. Mapquest fooled me. The staff was gracious and were still able to seat us right away. Service and food were wonderful! We were celebrating our birthdays and the server brought us 2 delicious complimentary desserts. We love coming to Bellevue and we will be back. Food was good and delivered fast, a little bit noisy. I was hosting a business lunch for my customers and they said the lunch was outstanding and I should always be in charge of selecting the restaurant! Good food, great service, We had a marvelous time. My boyfriend has a lot of allergies ( nuts, sesame etc...) that can often make eating Asian foods difficult but the manager came out and walked us through the menu, making sure we were super confident that everything we were eating was safe. The food was great but the service was truly out of this world. Both the manager and our waitress checked up on us multiple times and made sure everything was perfect. Wild Ginger has always been an enjoyable lunch or dinner spot over the years, and my most recent business lunch is no exception. Great food, fast and friendly service, and a nice environment for discussion. The new location is also much more convenient for foot, transit, ride share, or car access than the old one. Definitely coming back! Great place to stop in for a business lunch. Enough variety to satisfy an array of food requirements. We were seated promptly and the food was very good. This is my second visit to this location. The previous location in Bellevue certainly wasn't quiet, but it wasn't nearly as loud as this location. It didn't help that the fire alarm went off (the ambient noise almost drowned out the alarm, to give you a feel for how loud the human chatter was). Our server was delightful, but she had too many tables. Food was good. Wild Ginger has been one of my favorite restaurants for years, but it will be some time before I visit this location again. Had a reservation for a work lunch on a weekday. Food took almost 45 minutes to arrive! Made me run really late going back to work. There were only 2 of us... Ambiance was better at the old location. We were sitting at the very front table next to the bar and kitchen. My husband and I got served our food and the other couple had no food. A good 1/2 hour - 45 min went by and we hadn’t seen the waitress (granted it was busy). Finally I went to the kitchen and asked the manager where our food was. Long story short, she did apologize and didn’t charge for the items that came late so you did make things right. But service definitely could have been better. As always, Wild Ginger consistently delivers with great food and service. The Seven Flavored Beef and Duck were outstanding. They have great selection of drinks and wine. Both of our meals were well prepared. Excellent service - our waiter was so personable. We were late for our reservation but called ahead. They were very gracious and seated us right away. 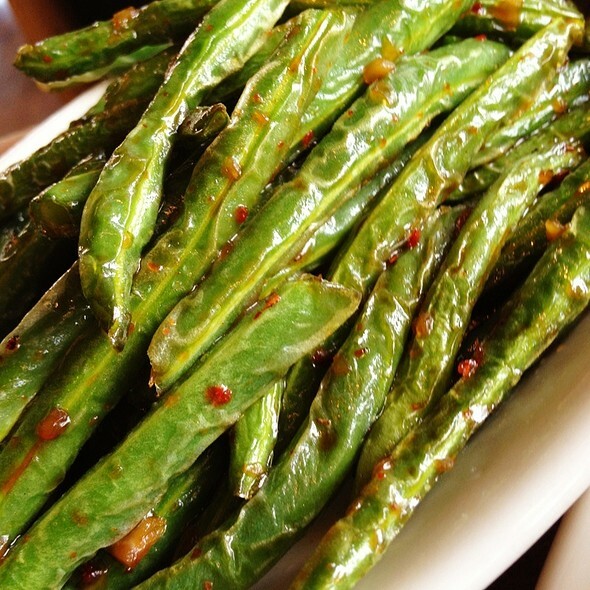 The Sichuan green beans and 7 flavor beef were favorites. Consistent with prior visits. Good food. Wonderful service, great suggestions. We were a larger part of 8 and all quite enjoyed family style dining. The coconut gelato was delicious as well as mango sorbet, another table favorite. SO YUMMY. Great service. 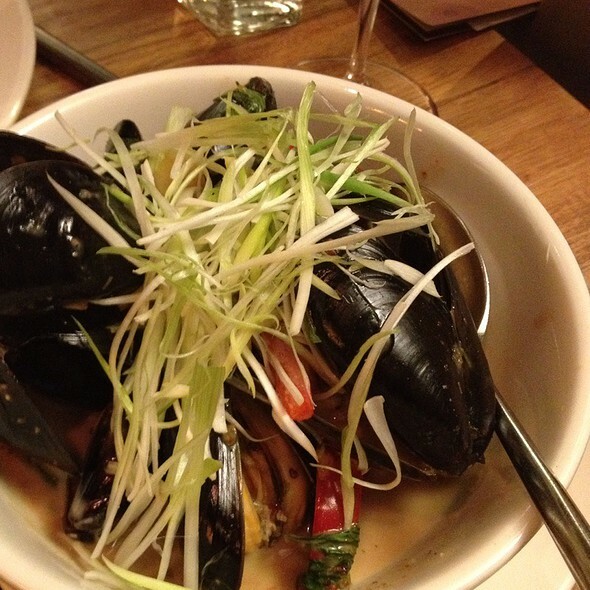 Great food when you want something better than takeout and a date night vibe. Great ambiance and location, good service, ok food. Wouldn’t go there for food. The dessert and appetizers were great. The main courses were disappointing. We requested 1/2 a duck and got a whole (with the charge of course). We didn’t dispute it. I’m sure they probably would’ve changed the fee. It was good meat but the rest of the entrée wasn’t that exciting. We also got the lamb which was pricey. It was so saturated in sauce that it really was unappealing. 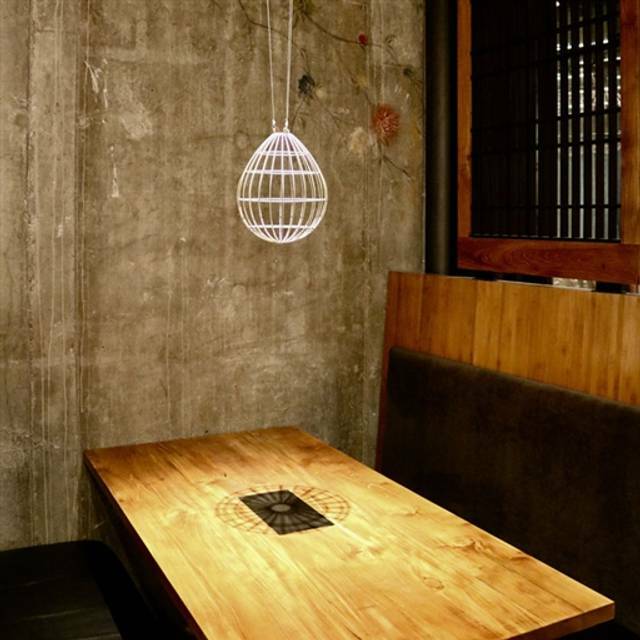 Wild ginger was one of my favourite spots but our last visit was so disappointing. The menu choices are way fewer. The pad Thai was flavourless and the noodles were hard. The green curry was good. The duck was ok. It’s just not as good as it used to be. Excellent food and our server was super friendly and helpful. I went on valentines day. It felt a little packed in. Wild Ginger was a staple spot for us to celebrate events together and with friends, the old location in Bravern and Seattle. The newer location in Bellevue which is a block away from our residence is now 2 misses in a row for us. The food has always been good but the service was absolutely horrid. Running restaurants myself in the past usually results in a much wider lens and understanding but when the basics are missed it is quite glaring and alarming for more prominent places like Wild Ginger. In Bellevue with so much competition they really need to step it up. It was Valentines Day but we were celebrating the something else special as well. In the reservation I requested a table not in the middle, which I figured would be 50-50 due to being Valentines Day. We were sat in a back room that looked to be for private parties in a middle table where we were forced to sit perpendicular since they were packing it in. I understand trying to maximize the day but they sacrificed long term loyalty for short term results. The table was wobbly and the linens were loosely aligned and thrown on the table as we were seated. The waiter did not greet us with water until 9 minutes within being seated. We ordered our favorites, pot stickers , pad Thai, 7 flavor beef, and duck. The main dishes took 38 minutes to hit the table which is insane. The pad Thai was glued together in one piece since it had probably been in the window for extended time waiting for the other dishes. Food was great for the most part but the service and overall experience was 2-3 stars at best. The last couple times at this new location is night and day from what I expect with Wild Ginger. We most likely will visit others locally. This is the first time I've eaten at the new location, and I was quite disappointed. The atmosphere and ambiance at The Bravern was far superior. My spouse and I were seated at a tiny, two-person table in an aisle that ran down the center of the restaurant, so we had foot traffic on either side of us while we ate. The whole vibe is different--smaller, louder, and less intimate. It might be better for some guests, but it is no longer my cup of tea. Some dishes were very good but others were disappointing. Menu covers too many countries to be authentic.